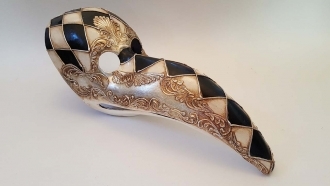 This beautiful Goccia crackle and macrame finish mask presents many elegant variations and corresponds to the ladies of the Cinquecento (the period of Titian) who covered themselves in jewels, expensive clothing and elaborate coifs. 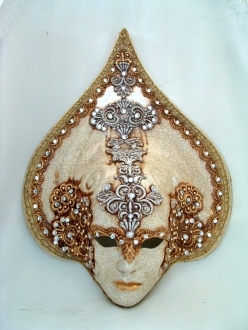 Hand made in Venice, Italy by master craftsman Franco. 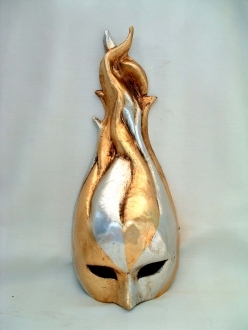 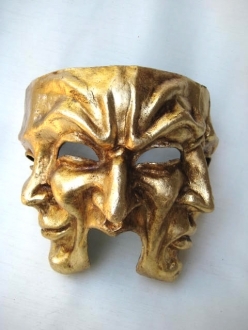 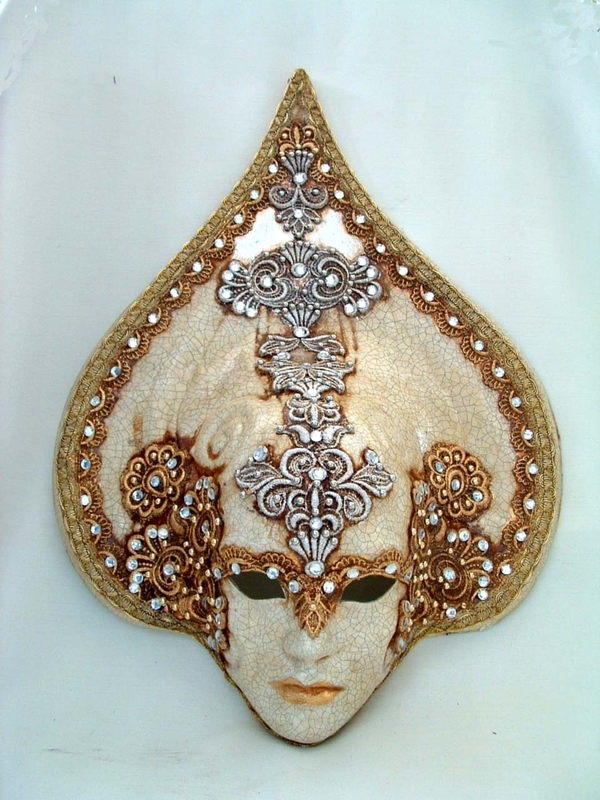 You'll make an impression at any masquerade, carnivale, or ball you attend. 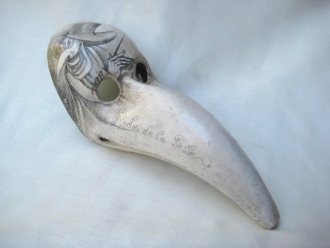 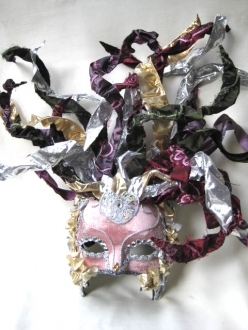 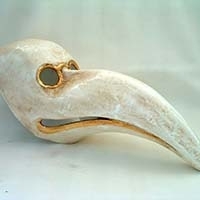 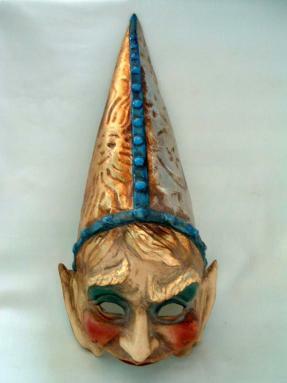 This wonderful venetian mask is molded in papier mache, then cured, plastered, and finally baked. 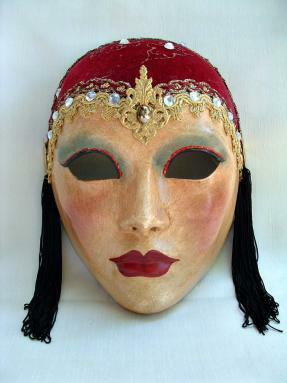 It is then painted by hand and an antique finish is added to make a complete work of aunthenticity straight from Italy.